In the presidential election to Japan’s ruling Liberal Democratic Party held on September 20, Prime Minister Abe Shinzo was comfortably re-elected for a third consecutive term. He has thus reinforced the political stability that he had already secured. This was the first contest for the LDP leadership in six years. Abe took up the current post in 2012 and was re-elected uncontested in 2015. This time, he defeated the former LDP Secretary General and defence minister, Shigeru Ishiba, by winning 329 of the 405 votes, against 73 votes for Ishiba. Abe also secured 224 of the 405 rank-and-file party members’ votes, while Ishiba won 181. Factionalism being a striking feature of Japanese politics, Abe secured the support of five LDP factions, led by Hiroyuki Hosoda, Taro Aso, Fumio Kishida, Toshihiro Nikai and Nobuteru Ishihara. After securing his stay at the helm, Abe flew to New York to attend a UN General Assembly meeting and had a summit with President Trump to analyse the recent inter-Korean summit. Since Trump has identified Japan as among “unfair” trade partners, growing trade disputes also figured in the discussion. Upon his return, he is expected to carry out a cabinet reshuffle. The issue that is uppermost in Abe’s agenda is to amend the country’s Constitution, especially Article 9, which no previous Prime Minister has ever attempted to do in the past 70-odd years. 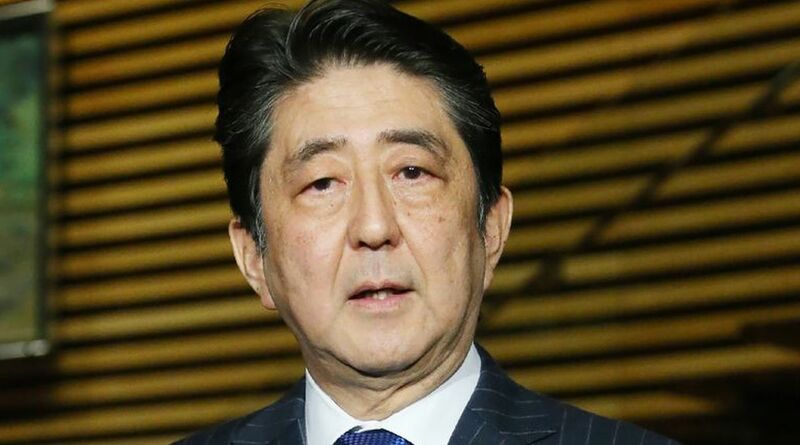 The other issue that Abe wants to address is the national challenge of the falling birthrate and aging population by carrying out social security reforms based on his achievements in the past six years as Prime Minister and LDP president. Though unopposed in the previous election three years ago, this was the first time since 2003 when an incumbent Prime Minister was challenged for the party leadership. With this re-election, Abe gets another three years as Prime Minister, which if he completes, shall make him eligible to break the record for the country’s longest serving premiership held by Taro Katsura, who served three times between 1901 and 1913. Though Japanese voters regarded the economy and social security as their top priorities, for Abe reforming the country’s post-World War II pacifist Constitution is the singular priority and at the top of his agenda. Ever since he came to power in December 2012, he has frequently expressed his wish to rewrite the Charter imposed by the victorious US occupation forces. Article 9 of the Charter forces Japan to “forever renounce war” and dictates that the armed forces will “never be maintained”. Any attempt by Japan to amend Article 9 raises serious concern in its neighbourhood, especially in China and Korea, which still suffer from the shadow of history. Within Japan, the issue is hugely sensitive, where Abe would find it difficult to get public approval at any such attempt. But Abe insists that any changes would merely remove the country’s well equipped Self-Defence Forces from the constitutional paradox whereby they should not technically exist. Even if he manages to pass a bill for revision in both the Houses of Diet (parliament), the same has to pass through a referendum, which is extremely unlikely to get through given the strong anti-military sentiment of the Japanese. Such a situation could raise the prospect of a Brexit-style political meltdown if the people vote against the motion. The people, struggling to cope with serious demographic challenges with the rise of the aging and declining population as a result of falling birthrate, and also facing a sluggish economy would find it hard to have any interest to tinker with the Charter that has served the country well so far. While Abe could be concentrating on his long-term goal to do away with the constitutional constraints that limit his attempt to defend the security of the country without any inhibitions, he cannot afford to overlook how his Abenomics has worked to resuscitate the sluggish economy. Though the Bank of Japan’s monetary intervention, coupled with huge government spending has led to the depreciation of the yen, thereby boosting exports, the looming trade war unleashed by the protectionist trade policy of Donald Trump could pose a major risk to Abe to manage the country’s economy that is still struggling to get out of deflation. It is not clear if Abe’s bold stimulus measures could be enough to bail out the country’s economy. There could be continuity in his economic strategy to revive the economy as he is expected to retain the Vice Prime Minister and Finance Minister Taro Aso when he reshuffles the cabinet on October 1. He has backed his Abenomics strategy to stimulate the world’s third largest economy. Now that Abe is likely to stay in office for three more years, the attention of the world would be focused on whether he will be able to fulfil his long-cherished ambition ~ to revise the Constitution. A nationalist Abe is unable to digest that his predecessors, including his grandfather, former Prime Minister Nobusuke Kishi, also regarded the Constitution as a humiliation imposed on a defeated Japan. The problem for Abe is that the majority of the Japanese feel strongly attached to the document’s pacifist ideals and do not endorse the view that is in favour of reform. Critics within Japan view any revision of Article 9 as a move towards “re-militarization”, which would inevitably trigger alarm bells in China and the Koreas, given Japan’s history of military aggression in the region. Amending the Article would affirm Japan’s right to a military, which effectively would mean that the country will have the right to wage an offensive war to defend the country if the situation warrants. Amending Article 9 would automatically turn the SDF, one of the best equipped in the world, formally into a regular army, thereby raising concern in Seoul, Beijing and Pyongyang. The writer is former Senior Fellow, IDSA, and was until recently ICCR Chair Professor at Reitaku University, Japan. He is currently Lok Sabha Research Fellow.